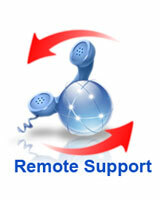 "Very pleased with residential software help on short notice. Glad to promote a local businessman." "I called One Stop PC at 11:00 am asking if someone could come out to fix my printer problem. Within 30 minutes they were at my front door and fixed my printer problem and cleaned up some problems I had with my software. 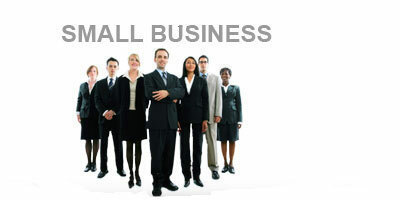 Professional friendly and very knowledgeable. I will be calling them again if I have any new problems. I will also refer them to all my friends and family. Thank you Binh"
"Ben was wonderful! Came in, knew exactly what the problem was and fixed it quickly. I will definitely be using One Stop PC again. Thank you!" "Minh fixed my printer/network beautifully. Job was thorough. Minh was polite,on time,friendly, and very skillful. He even removed some duplicative software I had installed in an attempt to avoid problems and gain some extra speed. He even suggested I get a better power adaptor and router. It's good to have my network up and running so well again. " "One Stop PC the best thing I ever did...Binh came out and within minutes my computer problems were gone. Very professional and helpful. I would use their services again." "The man knows his stuff. He fixed several problems on the computer, and explained things to a computer illiterate like me. I fully recommend him. I will use him again." "Binh was the tech that came to my house. He was on time and extremely courteous. He was the most knowledgeable technician I have ever had the pleasure to do business with. He took his time and dealt with ever one of my issues. He did not finish until I was satisfied. I will definitely use them again and refer them to all my friends." "Nice man very knowledgeable in his field fixed my pc works great now." "Very, very helpful - he was prompt, knew his stuff, fixed my problem, taught me how to do something I needed to be able to do, and didn't leave until he made sure everything was working as it should. I am very pleased. Thank you, Binh! " "Great Job! One Stop PC responded quickly and was able to resolve my PC issues. Additionally, Binh (technician) was professional, experienced and took the time to answer all my questions." "I have been in the sales and marketing business for over 30 years and have owned one of the largest Re/Max franchises in the eastern US. I am out here in California getting medical treatment when my two computers both went down. I contacted Ben from One Stop PC and he was incredible. In the past, I have been ripped off by my IT technicians, and Ben could have done the same, but he was 100% honest, and fixed both my computers to where they are BETTER than new ones. I highly recommend this company to anyone who wants on time, honest and great service." "Called and spoke with Han this morning. We did our 'simple' upgrade of a new Time Warner Modem/Router and lost all connectivity and function to our printers and scanners. Han made an appointment for me SAME DAY (where those other guys wanted me to wait for 7 days). Binh called on his way over. He arrived right on time. He was extremely professional and competent. No time wasting - knew how to fix the problem and had us up and running in one hour. I can't be more pleased with the service and knowledge of this Company and of Binh and Han specifically. I wouldn't hesitate to recommend One Stop PC to anyone. For those of us who work from home and rely on our technology and equipment, this Company is a life saver. Thank you so much." "Binh did a great job. He was on time, professional and fast. I will use One Stop again if I have future computer problems." "Microsoft screwed up my printer when they "upgraded" my computer from Windows 8 to Windows 8.1. In addition, I inadvertently turned off the sound on YouTube without realizing what I had done. Binh came out, showed me what I had done wrong on YouTube and corrected the Microsoft mistake on my printer. He was patient with me the whole time he was here because I am a completely high tech incompetent. I will definitely call Binh again whenever I need computer services. " "Excellent service! Able to schedule service at my location within 24 hrs. of my phone call. Showed up on time, knew what they were doing, succeeded in setting up a rather complex system consisting of multiple work stations and a server. Done in a very timely way at a very good price. Excellent "
"Binh performed a check up service of our two computers and removed viruses. He was very knowledgeable, professional and did an excellent job. His service deserves highest recommendation. " "Ben was my technician. He was courteous, asked relevant questions, and worked around any immediate issues. Looks like I am good to go." "Binh did a super job in setting up our new computer. This is the third time we have used his services." "Great service all around. Arrived within 30 minutes of my call. Binh was knowledgeable, professional and pleasant. He diagnosed my problem right away and fixed it in a timely manner. If needed, will definitely use them again. Highly recommend OneStopPC to others. " "Binh was very professional and knowledgeable and patient in explaining and fixing the computer problems I was having. " "Dear Binh, Thank you for ALWAYS solving our problems soon after we call. We were in such a bind this time and you worked your PC magic. You fixed my IPhone and IPad email problems to boot. One Stop will always be our PC repair company and I will continue referring you to all. Gregg & Linda "
"Great response time. Binh was personable and informative (He gave additional information his time. Thank you. )He seemed to work efficiently. I haven't used my laptop yet, but I'm confident it will work. " "Binh fixed a tough network problem today. Excellent service as usual. R Carden"
"I ran into problems with my computer and found Binh who was incredible. He was able to come to my home and diagnose my computer and make the necessary repairs within hours of calling. I will most definitely call Binh with any future problems with my computers. Would highly recommend Binh!" "Binh was very knowlegable and curtious. good to work with. i am so pleased with all he managed to get done. he fix all three of my computers had them all going at the sametime. i'll be calling you next time i need help. thanks Sherry"
"Technician Binh Nguyen arrived promptly. He had extensive knowledge, did the work promptly and gave helpful advice. He exhibited the highest standards of conduct, appearance, courtesy and performance." "I have used One Stop PC for several years. Binh was able to retrieve all my files when my computer crashed. Whenever I have a problem with my computer, I call One Stop PC." "Binh did a fine job in getting our computer up and running again. I would contact him again." "Thank you, thank you, thank you for being there for me every time I need your services. I've recommended will and will keep recommending you to all I know." "Very fast and efficient; got my home office printer and scanner connected to my computer and working. And came early in the morning so I still had time to go to my job ." "Ben is excellent. I will use him again." "Very professional and courteous service! Would highly recommend and use again!" "Great fast service, Like always!" "I have a lot of confidence in Binh. He seems to have a lot of knowledge, and is a very nice person to deal with." "Superb! Will definitely use the service again!" "My husband and I are so pleased with Binh and his services in HB. He is so professional, knowledgeable, enthusiastic, prompt and reasonable. We are so happy we found him and will be a client of his for a long time. Thanks, Binh!!!!!" "My PC was in another shop on & off for two weeks trying to fix the “blue screen of death” problem. Not wanting to try their next “solution” (re-install Windows & risk associated problems with files ( been down that road before), I took my PC to Binh’s HB store before taking it back to the other place. Binh said he would let me know by day’s end if he could fix it and no charge if he couldn’t. Bihn called later that night saying it was fixed by installing new drivers and has been running smoothly for the past two weeks. Good feeling to have a capable PC repair technician close by. Jim Mullens, HB -- June 17, 2013. " "I would highly recommend One Stop PC. We had two PCs tuned up and a major virus removed from one. They did an excellent job and returned our computers sooner than expected. Their charges for the work done was very reasonable. We will definitely continue to use their services. " "Amazing experience, the tech was fast and was great in all ways. And not to much money either." "I am very happy with your service. I will definitely use you again and recommend you to my friends." "Technician Binh Nguyen arrived at the appointed time, went directly to work and correctly diagnosed and corrected the problem. One could not ask more. His personal and professional manner was a terrific reflection on your company. I have maked your website as a "Favorite". " "Excellent work! I am back in business now!" "Excellent, professional service. I look forward to working with you again, and will refer you to my friends!" "Great service...Ben worked on and fixed my laptop during a weekend. His efforts are very much appreciated." "Technician was on time very plesant and was very helpful with my questions." "Binh was very knowledgeable and took care of the virus issues on my PC in a timely and professional way. I am very pleased with how the whole process worked, from making contact and coming to my home, to my PC working again. " "Great job by OneStopPC. He was a genious from what I could tell. Definately no rookie. Thanks again." "Service was excellent. The technician knew his job very well, and came immediately after I called him. I would recommend this service to everyone." "Excellent service! Repair technician showed up at my office in less than 30 minutes and fixed a complex problem in just a few minutes. I would definately recommend them." "I am please with the work that has been done. Keep up the good service!" "Binh was great fixed everything quickly "
"Friendly. Gets the job done well. Very experienced and has extensive knowledge about computers and computer software Very reasonable prices and all around great service. I would definately recomend them. " "Binh, as usual, did a fast, thorough job. Found the problem, corrected it; so it was well worth it. A great job!" "Tom was awesome! You guys are the best and I will recommend you to everyone I know." "Thank you Binh for your fast service. Your expertise and knowledge for fixing my email problem today. I'll let my friends know about your service. Thanks, again." "very good service / punctual"
"Very good and prompt service. All of the issues that I had on my computers (laptop & desktop) were corrected and the systems were improved. I would recommend OneStopPC to anyone." "I called several vendors before deciding to bring my computer to One Stop PC. I did so because they spent so much time on the phone with me explaining about viruses and how they could delete them. I had my computer repaired and couldn't be happier with the results. A+"
"Binh is always responsive within hours of my call. There has never been a problems that he has not been able to fix. Customer service and satisfaction is of paramount importance to Binh and is reflected in how he treats me and my computer issues. I would highly recommend One Stop PC. " "Binh Nguyen was very good. Fixed my problem and we would certainly call on him again." "Binh did a great job, very happy with his work and really knows his stuff." "Very professional , pleasant and efficient." "The service was good , the IT ( Tom Nguyen) is very knowledgeable and helpful." "Ton was knowledgable and thorough in tuning up the computer. " "Great service. Very informative. Will call you next time I have a problem." "Binh was very knowledgable and polite. I thank Jake Brown for introducing us. I will not hesitate to call in the future." "Binh did a very thorough and professional job removing the virus from my computer. Would recommend OneStopPC to friends." "Great service , on time , Est. was correct . Very happy and will use them again." "Binh was WONDERFUL. This has got to be the most painless transition to a new computer I have ever had. He is punctual, fast, and efficient. He is knowledgeable and very courteous. I would have him back in a heartbeat for any future problems. Six stars out of five. :-) "
"Guy, you are the greatest. I wasted a lot of time with Dell trying to get a software problem straightened out I will never call anyone else but you for you are fair and honest and I like doing business with you. Thank again you have my support and I will let any of my friends where to go. Thank you "
"Great service, fast response, we are very happy customer." "I had to get someone to my house. So I went on line and found OneStopPC. They answered the phone and had someone come out with in the hour. Tom was perfect. Solved the problem fast and I am so grateful to have someone that I can call when I mess up my computers. Good Computer support good service." "Showed up promptly and fixed everything on my computer. Friendly knowledgeable people who are will to talk to you about your computer." "Tom Nguyen is a keeper. He did a great job, If I have any other problems I will call on him." "Tom is very helpful and very good in assisting especially on computer problems. Thank you for your help. He is very dependable. " "Outstanding service and an awesome job." "Fast response and great follow up. We are very pleased with the service." "Great service!! Tom was very professional and answered all my questions. I will use you again! Thanks." "Binh Nguyen was the tech that came to our house today. He was very couteous, helpful and patient. I will recommend your company and his service to others. He went above and beyond to be helpful and did a great repair job. Thank you very much!" "I want to thank the staff of One Stop PC and especially Binh for the great service at a very reasonable price. My computer was a mess. I couldn't even get it to start up. Not any more, now its like new. Great job OneStopPC." "Technician was polite , and setup printer, explained how it worked , upgraded internet explorer, and increased speed of computer. good work!" "Binh Nguyen was very professional, and he solved the problem quickly and completely. " "Binh's work has always been outstanding and glad to have him available when I run into computer challenges." "Very efficient, courteous and complete service." "Tom, was very professional, patient, and knowledgeable... will use him again.. excellent service..."
"Excellent PC service. Fast to respond to issues, up to date with technology, the best partner to have! Highly recommended. " "Services were tremendous. Thank you so much for everything. I don't know what I would do without OneStopPc." "Tom was fantastic. I used Geek Squad last time,never again! OneStopPC are my IT team from now on"
"We just had Binh Nguyen over to help fix our computer and he was so quick and efficient. He helped fix a couple of other problems as well. We will definitely have him on our speed dial." "Tom showed up within an hour after my call and was very knowledgeable & efficient. We will definitely use your service again!" "Binh showed up as scheduled and was very professional and helpful"
"Very professional and timely. Tom was quick in assessing this issue and also assisted in other issues than the one I called on. Called 3 pm. Sat and Tom was here by 5 pm. Would definitely call again. " "Tom was completely awesome tonight! He was able to diagnose and treat many problems I have been having with my desktop, laptop and IPad all simultaneously! He was more than happy to let me watch while teaching me things I can do on my own. I had two frozen computers before he came, now all work." "Very good service and very smart, I would recommend to anyone." "Excellent service! Very helpful and had excellent people skills"
"Tom was great. He was very helpful and professional. He solved my problem and helped me with other issues to help make my computer run better. I would definitely call him back to help me if I have another issue in the future." "I received prompt service from One Stop for virus removal and installation of virus software." "I am real happy with the work that Tom Nguyen did for me last night. So far the computer is working good with no problems. It took a little while to get it going but that is to be expected. I think I will be much happier with Windows 7 instead of Vista. I reinstalled all my software with no issues." "The service I received this morning was awesome, fast and reliable. The technician was able to recover my files in minutes. " "Very good!! Honest - quick to respond!!!!! Very good addition to our business!!!!! " "We are always happy with the service we receive from Binh." "I buy this service because you can watch while your computer is being fixed, and the technician answers all your questions! I'm treated like a customer rather than someone who can go to "Best Buy" if he doesn't like what we give him. I'll buy this service again; you should too. Thanks!" "You guys are great and very helpful!! " "My computer crash while I was working on an urgent report and they were able to come to my house to repair my computer the same day. The tech guy seem to know exactly what he's doing and very friendly, I would recommend this company's computer repair service to everybody. " "Affordable rate and absolutely recommended to everyone. Thank you for your help. " "I am thrilled with OneStopPC and would not switch to another company. Thanks. " "I have used them two times, and they have been able to get here the next day and have gotten rid of my virus without my losing anything off of my hard drive. Would like to see one charge for the first hour and a lower charge for the second. Example $100 first hour and $65.00 for the second hour. " "Excellent Service all the time! They are fantastic, and I would highly recommend them to anyone, for any kind of computer problem." "Binh Nguyen was excellent. Would recommend your services to all of my friends." "I've had OneStopPC work on my computers several times, some by remote and some by in-home service. Binh and Tom were extremely knowledgeable and quick. I'll never go back to the "Big Box" store for service or installation again. " "My computer caught a computer virus and One Stop Pc was able to send someone to my house to remove it the same day. Great Job!" 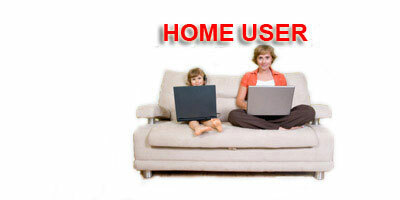 "One Stop Pc setup my home network and help prevent my kids from accessing adult websites. The technician was very efficient and knowledgeable." "Great service - Technician really knows his stuff - very professional & courteous"
"Thank you for doing such a great job in cleaning up my computer as well as installing my new memory. I never thought I would ever get it back to normal again! You came through with flying colors! "